Projector Square is Middle East’s first online projector store that offers clients original, and high quality projectors at a Greater Value than products available at an electronic store. Projector Square is committed to offering the best deal on the widest range of projectors. 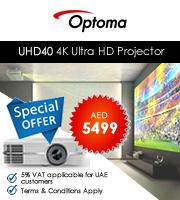 We cut out the middle men to offer you projectors and accessories at affordable prices. At Projector Square, we are dedicated to ensuring complete customer satisfaction and we’ll go the extra mile to guarantee you are 100% satisfied with the products you receive. Our service is not only fast but reliable. 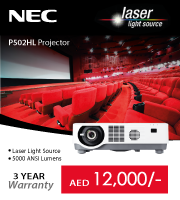 We are focused on meeting all your projector needs and thus offer the widest range of products and brands. We are resellers for world leading brands including Epson, LG, BenQ, Hitachi, Optoma, Sony, NEC, Specktron, and many more. Apart from being able to offer you the best/lowest prices, at Projector Square we have large stock quantities and a range of models to meet every requirement, big or small.